Chelsea lost their unbeaten Premier League record after a dismal display and a comprehensive London derby defeat. A Christian Eriksen-inspired Tottenham looked sharper and played with greater urgency and threat from the outset and raced into a 2-0 lead through Dele Alli’s header and Harry Kane’s long-range strike. Maurizio Sarri’s men, who drop below Spurs into fourth, made a briefly encouraging start to the second period. But Son Heung-min’s fine solo goal made it 3-0 and substitute Olivier Giroud’s late header only provided some very minor cheer on a miserable evening at Wembley. The margin of victory could easily have been more, with Blues keeper Kepa Arrizabalaga making several excellent saves and Spurs also wasting a number of good opportunities. 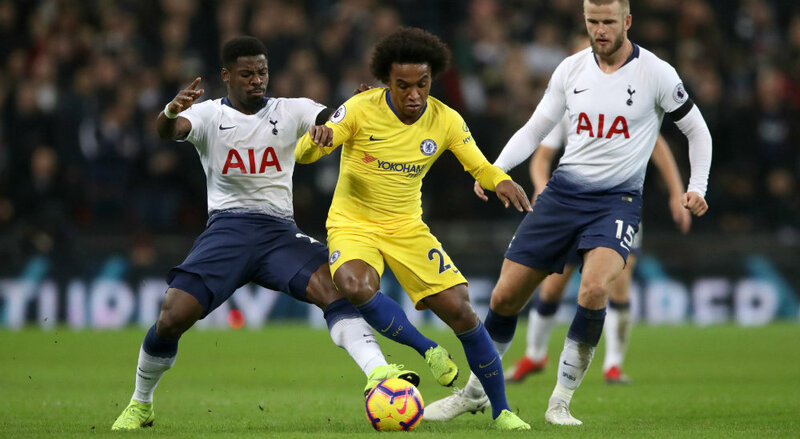 Chelsea began slowly and trailed six minutes in when Alli headed in a fine Eriksen free-kick after David Luiz was harshly penalised for a challenge on Kane. Son should have added a second before Kane did double the lead when he was allowed oodles of space to score with a 25-yard strike that deceived Arrizabalaga. Chelsea threatened only occasionally with Eden Hazard unfortunate not to win a penalty when he was tackled from behind in the box, while Alvaro Morata and Willian sent efforts just off target. 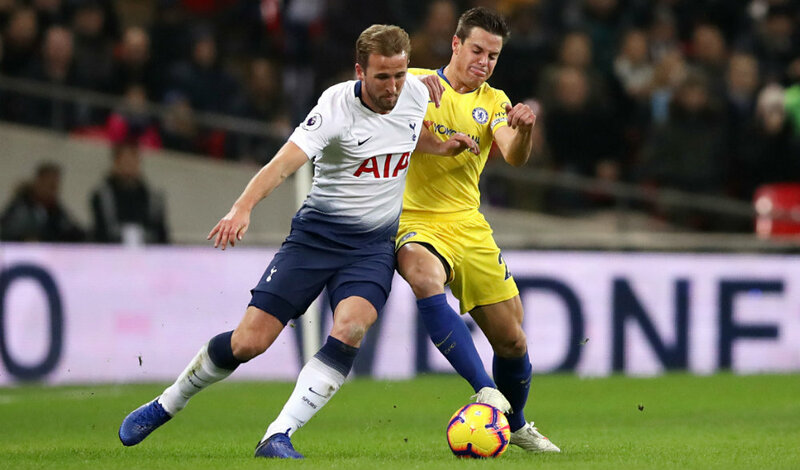 Hazard also had a shot beaten away by keeper Hugo Lloris as the Blues began to settle, but Spurs kept up their high-pressing and remained dangerous. The pick of Arrizabalaga’s saves came with a wonderful stop from Son’s volley. Willian went close after a rare Chelsea move of quality in a lively start to the second half by the visitors. However, Son ran from deep, easing past Jorginho and Luiz and side-footing home to make it 3-0 and as good as settle the match. Giroud’s neat downward header gave a glimmer of hope with just over five minutes left, and there were other late chances, but Spurs saw out the win. Chelsea: Arrizabalega; Azpilicueta, Luiz, Rudiger, Alonso; Jorginho, Kante, Kovacic [Barkley 58]; Willian [Giroud 76], Hazard, Morata [Pedro 58]. Subs not used: Caballero, Christensen, Zappacosta, Fabregas.